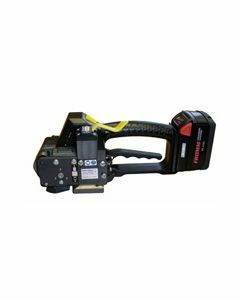 The P328 & P329 battery operated plastic strapping tool can be used with both Polyester and Polypropylene plastic strapping. These tools can be used with strapping widths from 1/2" - 3/4" and from .016-.041 thickness. The P328 has a tension range of 56-585 lbs and the P329 has a tension range of 112-900 lbs. 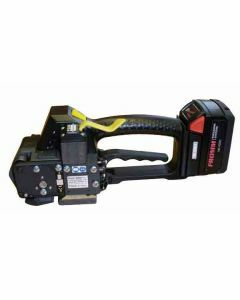 The P331 battery operated plastic strapping tool can be used with polyester strapping. 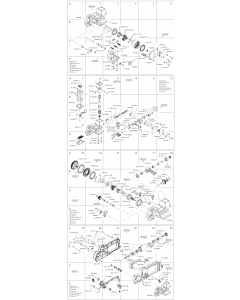 This tool can be used with strapping widths from 3/4" - 1" 1/4" and from .016-.060 thickness. The P331 has a tension range of 270-1575 lbs. 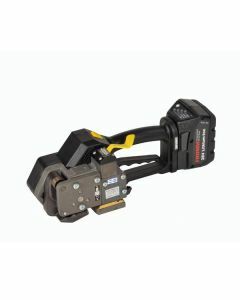 Fromm P326 Battery Powered Plastic Strapping Tool 3/8"
Fromm P327 Battery Powered Plastic Strapping Tool 5/8"
Fromm P330 Battery Powered Plastic Strapping Tool 3/4"
Fromm P326 Battery Powered Plastic Strapping Tool 7/16"
Fromm P326 Battery Powered Plastic Strapping Tool 1/2"
Fromm P326 Battery Powered Plastic Strapping Tool 5/8"
Fromm P327 Battery Powered Plastic Strapping Tool 3/4"
Fromm P330 Battery Powered Plastic Strapping Tool 1"